After five thousand years of incarceration, the evil Diabolico and his treacherous army of demons have escaped their imprisonment, and will stop at nothing to destroy the community of Mariner Bay and its innocent citizens. The new Power Rangers, empowered with top-secret technology, are the planet’s only hope. Chosen for their expert skills, this unique team of five – a firefighter, an aquatics professional and a martial master, an accomplished aviator, an extreme sports enthusiast and a paramedic – is commissioned to defend Earth from the evil Diabolico and wage their battle from the safety of their high-tech underwater compound and weapons laboratory, the Lightspeed Aquabase. The stakes are high as these brave Lightspeed rescuers form Earth’s final line of defense. My daughter is a Power Ranger Fan-A-Tic! So when we received Lightspeed Rescue, she wasted no time watching the episodes from beginning to end. Luckily, it's summer, so watching a few episodes a day was possible. She let me know that the Lightspeed Rescue Rangers had quickly become one of her top favorite Power Rangers. She loved all the action scenes and twist in the story line from this series and also loved that each ranger had a different career when they weren't rangers. Disclosure: All opinions are my own. 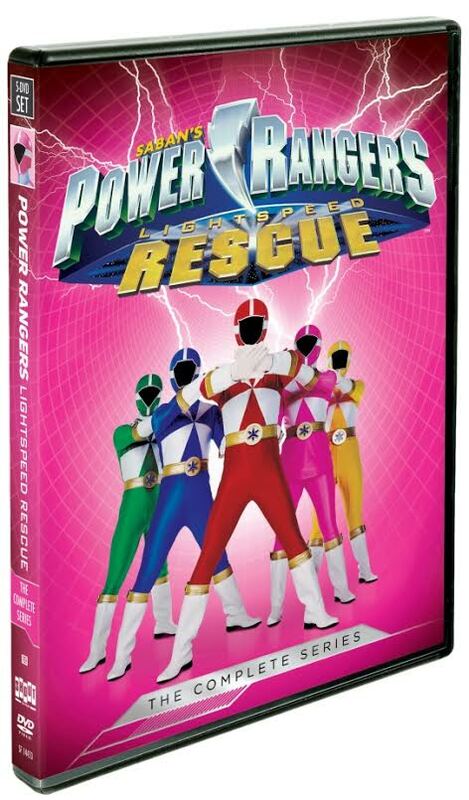 I received Power Rangers: Lightspeed Rescue on DVD at no cost for the purpose of this review. No other compensation was received.